Whether all or some of your teeth are missing, dentures replenish the look and function of your smile. Here at Walker Square Dental Associates, we specialize in providing affordable full, partial, and implant dentures for patients. While many dentists have to refer out patients looking for this service, Dr. Rogge's advanced training with "false teeth" allows him to offer several cost-effective denture options in Dover and restore the appearance of your smile. Patients with missing teeth enjoy the many benefits provided by full and partial dentures. Occupying the empty spaces in your smile, dentures mimic natural teeth and gum tissue using life-like materials. Dentures are a cost-effective approach to teeth replacement and getting dentures does not require invasive or complex procedures. When several teeth are absent from an otherwise complete smile, Dr. JAMES ROGGE DDS may suggest partial dentures. These prosthetics keep remaining natural teeth from shifting into vacant spaces, preserving dental balance. Partial dentures can be fabricated with varying components and materials to securely attach to your smile and look as natural as possible. Conventional full dentures are created and placed after the patient’s gum tissue has adequately recovered from pre-treatment, which includes extraction of failing teeth. By contrast, immediate dentures are fabricated in advance so they can be placed at the preparation appointment. 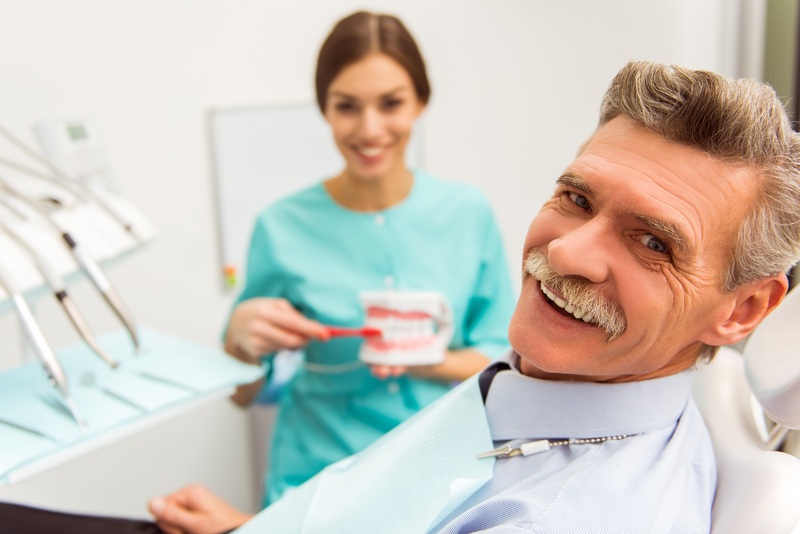 With this approach, patients enjoy a full smile during the healing process, but should follow-up with Walker Square Dental Associates once gums have healed, as dentures may require adjustment. In order to create custom dentures, impressions are taken first. These provide highly accurate measurements of your smile. Dr. JAMES ROGGE DDS works with a dental laboratory to ensure prosthetics are the proper shape and color. During a follow-up appointment, your dentures are adjusted and placed precisely to ensure a comfortable fit. Call our office to discuss how custom-fit dentures can provide you with the full smile you deserve!